Welcome to our Info and Events Page! Peace, Love & Veggies to You and Yours! Check in store for shelf talkers that make it easy for you to spot GMO-free items and to make GMO-free choices! Certified Organic is by virtue, and by law, non-GMO. If it is certified organic, not only is it non-GMO, it is free of synthetic petro-chemical based fertilizers, pesticides, herbicides and fungicides. Often, local farmers are not certified organic, however they utilize organic and sustainable growing methods. Talk with your local farmer, ask them if they grow organically and if not, ask them if they would consider it. local organic farms and organic producers. So much so that we only grow and buy organic produce. to buy only organic and GMO-free foods for our grocery. One day a sweet local lady came by and kindly gave me a few of these seeds to plant. She told me of how she and her husband had been growing them for years, saving the seed with every harvest so as to grow more the following year. Originally the seed was given to his mother by his grandmother. Pictured here are the seeds I have gathered from the plants which were grown from the seeds they shared with me. I am going to plant them again next year! it is the stuff from which life springs. to grow and to share again. Sale now through Dec. 31! growing our own organic foods! Healthy Harvest Natural Foods of Brevard to present two free community lectures, Friday May 2nd! with Mr. Brian Hampton of Gaia Herbs. Mr. Hampton will be available following the lecture to answer any additional questions. Joy Reser of Joy on Your Shoulders to present her lecture, titled "Increase Your Peace Quotient." Joy offers inspiration to others and will take you on a journey of gratitude and creativity as she shares her story of healing. Through her company, Joy on Your Shoulders, Joy brings unique and inspirational wares wherever she wanders. These joyful wares are handmade in Brevard of imported batik and each product has a positive word or message screen printed onto it, such as "Dance," "Create," "Shine Your Sweet Self," and "Cultivate Kindness." For more about Joy and Joy on Your Shoulders, visit her web site at joyonyourshoulders.com. A little snow and ice and then today... 70 degrees! clearing brush, trimming the catnip and nettles back to find the new life emerging beneath the leaves. nature always succeed in amazing me! At Healthy Harvest it pleases us to announce that our first round of planting seeds are in!! including sea kelp and fish emulsion. we will implement more stock of these soil amendments in addition to our wonderful seeds. starts will be in late April! Simply put, Compost Tea is a living solution. It is the act of growing microorganisms, or microbes, in an aerated solution using biological inoculates and food sources. Compost tea contains living beneficial microbes found naturally in healthy soil and compost. When added to a growing situation these microbes replicate and perform dynamic and often immeasurable functions that naturally increase plant health, soil vitality, nutrient absorption, resistance to pests & disease, and help the plants to acquire nutrients that may not be in a plant available form. body butters and all things silky and pretty! to create their own very special grapeseed oil. Grapeseed oil is one of the most powerful topical antioxidants! products, even that much more special. May 2014 bring you health & happiness. all the peoples of earth!! and everything we could ever hope for! Together, may we honor that which sustains us in deepest gratitude. On all other Gaia Herbal Supplements! Check out our selection of Organic Halloween candy! Chewable Vitamin D3 as well as all Nordic Naturals Children's Supplements! Nordic Naturals has also partnered with Give2the Troops! Nordic Naturals will send one bottle of Ultimate Omega to our troops! at Healthy Harvest with incredible savings and special events! See in store for additional details! Save 35% on selected Gaia Herbs! Boys and Girls Club of Transylvania County. Excellent for homemade Kale Chips! patty pan squash; okra; heirloom corn; beets and more! Basil, Dill, Oregano, Thyme and Mint. Our organically grown herbs are available by special order for larger amounts. Call or email us and we will bring them in for you to pick up fresh the following day! Great for making pesto, pickles and sauces! Grab 'n Go Local Lunches!! We are keeping it simple yet extraordinary! Excellent site for how-to composting at home! February is Heart Health Month at Healthy Harvest! Nordic Naturals Fish Oils meet or exceed international pharmaceutical standards, exceptional freshness levels and award winning purity levels, great taste, multi-patented manufacturing process and research based innovation, corporate social responsibility and sustainable sourcing. Nordic Naturals fish oils are in their true triglyceride form. The established health benefits of omega-3s are based on decades of data—much of which are based on natural triglyceride omega-3s. Whereas most concentrated fish oils on the market today are in the ethyl ester molecular form—a synthetic fat with only 18 years of history in the human diet—all Nordic Naturals formulas are produced in true triglyceride form to ensure optimal absorption and results. New research shows that the absorption advantage of the triglyceride form is significant—up to 70% more than ethyl esters. Our Annual Groundhog Day Celebration was a raving success!! We want to go ahead and let you know so you can mark your calendar, February is not only national heart health month but also a great time to celebrate! When: Saturday, February 2nd...Groundhog Day 2013!!!!! Delight in a live musical performance by local musicians, Suzanne, Jerry and Kurt of the Moon Shine Babies while enjoying a delicious organic, vegetarian and gluten-free lunch locally prepared by Wild Indigo Catering. John Gale and Micah Couttet as well as Herbal tea samples with Brain from Gaia Herbs! Mark your calendars now and come on by Feb. 2 for a great day of music, organic food and community as we celebrate life, love and happiness in Brevard! We invite you to check out our fun and eclectic selection of holiday gifts ideas! This gift is always a hit! When I make my tea selection, I do my best to pick what my friend or family member would like, then I place the tea in baggies and tie them off with a beautiful piece of ribbon. Raffia makes a nice bow as well! We also have a large selection of pre-bagged organic teas. Fill a basket or gift bag with your loved one's favorite scents! Choose from our amazingly uplifting and relaxing selection of pure essential oils. salt lamps are also available. Check out our super groovy candles for even the most sensitive sniffer! Our candles contain no artificial fragrances and are made with lead-free wicks. Gift Idea #3 ~ Fun for the Fabulous Foodie! With this idea, the possibilities are infinite! Infinite possibilities with this one too! My favs are bath salts, soaps and lotions. and muscle relief bath salts. Want to make your own unique bath salts? Fun!!! In our bulk body care section, choose from a base of dead sea salts or bath salts. The bath salts ingredients are: sea salt, kaolin clay powder and organic jojoba oil. To either base, add your favorite essential oils and that's it! For color add a pinch of lavender, calendula or chamomile flowers, also available in our bulk herb section. I like to mix these in a large stainless steel bowl, then place the finished salts in pretty jelly jars or mason jars. A nice piece of raffia tied around the lid looks nice, and for even more fun, I like to get out my colored pencils and create a wonderful little tag, explaining the ingredients and perhaps draw some pretty flowers or some design on the tags. With a hole punch, I punch a hole large enough the slide the raffia through, tie it off and ... viola! A beautiful and meaningful handmade gift! You can also make your own body and room sprays! We have blue cobalt spray bottles. your own custom body or room spray! a little glitter and raffia. Have you tried Indigo Wild Zum bars yet? OMG! I love these soaps! These you just gotta come in and check out! We have over 20 varieties that are sold in bulk. These are cool because you slice the soap yourself...little bars, big bars..it's up to you! Mix and match scents to create the perfect combination for your friends and family! We also have Zum holiday soaps already sliced and decorated with ribbons! In addition to the soaps, check out Zum candles, body and room sprays and whiff sticks. body lotions, soaps, and body oils. These are just a few gift ideas. We are happy to help you find that perfect gift! I hope you have as much fun with them as we have! For me, awakening to a soft snowfall on the farm this morning was a welcomed surprise! In the afternoon I walked up to the lower pasture to check on the winter rye. As the leaves have fallen and the wild grasses have browned, the bright green blades of winter rye stand indomitable! Winter rye likes cold weather and will continue to grow throughout the winter months, it's root systems fixing nitrogen into the soil. I am continuously in awe and in gratitude of nature's synergies. Come spring, we will turn the rye into the soil as a green mulch. Until then, I can only dream of next years' crops! seeds which he saved from his tomato crop this year. I am so thankful for these seeds and excited to begin growing these! and they are really pretty too! Winter is good for plannin' next years' garden! As the season changes, it's a great time to boost our immune systems! Woohoo! Our digestive system is an integral part of our immune system. and/or in conjunction with herbicides such as Roundup, suppress not only our digestive systems and immune systems but our nervous systems as well. Organic foods, which are free of synthetic chemicals, as well as being GMO free, nourish my body and enhance my body's immune function. pure unadulterated nutritious food is the key to health. Also, if you enjoy garlic, incorporate organic garlic into your diet whenever you have the opportunity. Garlic supplements (which are tasteless and odorless) contain allicin, the major biologically active component of garlic and the key ingredient responsible for the broad-spectrum of anti-bacterial activity in garlic. Allicin is shown to have incredibly positive effects upon the immune system. a bit of a warm hug first thing in the morning. Did I mention that it helps to cleanse the liver, kidneys and bloodstream too? Such a simple remedy that does so much good for the body! which we sell in bulk (very inexpensive), and let it simmer with your veggies and other goodies. Astragalus is a prime immune enhancing herb as it is a strong antiviral agent, working to produce extra interferon in the body. Astragalus also nourishes exhausted adrenals to combat fatigue. With the holidays fast approaching, astragalus is a wonderful and supportive herb. Supplements such as Black Elderberry, Olive Leaf extract and Probiotics are definitely key in my arsenal of immune system boosters and if I ever get the slightest sniffle, or achy feeling, Gaia's Quick Defense is my body's best friend! Quick Defense is a phenomenal herbal combination of Echinacea, Andrographis and Black Elderberry. as these systems work synergistically to keep us healthy and feeling good. and as a community we are connected to our larger global family and as a species we are connected with the earth. When one system is down, other systems suffer; When one system is boosted, other systems are boosted! Wholistic living is pretty interesting, don't you think? Boost your immunity, naturally, this season with Black Elderberry! has a strong heritage and was referred to as “medicine chest” by Hippocrates (400 BC). Elderberry grows in our region and some of you may remember your parents or grandparents making elderberry jam and elderberry wine back in the good ol’ days! and current research data has shown Black Elderberry extract to be effective in enhancing the body’s natural immune and inflammatory response, as well as in shortening the duration of influenza A and B.
at Healthy Harvest Natural Foods! What are GMOs (Genetically Modified Organisms)? Are GMOs safe to eat? How do you know your food is GMO free? If your food is Certified Organic, under federal guidelines, it is GMO free. You can also look for the NON GMO Project verification on non-GMO products. but a labeling system that will tell us if something is GMO!! are making a huge difference! The following is a letter that I received from Edward Pavia, a legislative fellow in Congressman Shuler's office after sending him additional information on H.R. 3553, The Genetically Engineered Food Right to Know Act. H.R. 3553 is a proposed piece of federal regulation that would label GMO containing foods. H.R. 3553 has 21 co-sponsors. I also sent Mr. Pavia information on NC House Bill 446, which would label GMO foods and milk containing bovine growth hormone (rBGH). Thank you for the additional information, I will definitely bring it to the Congressman’s attention. We have begun to respond to all of the constituents that are located in our district in regards to the petitions you supplied us with and they should be receiving letters that show the congressman shows interest in the issue. I will research HR 3553 to see what action has been taken on the bill and I will speak with the Congressman about it. Thanks again for all of your hard work you are doing for western North Carolina. WE ARE MAKING A DIFFERENCE!!! On a local level, NC House Bill 446, which would label GM foods and milk containing bovine growth hormone (rBGH), was filed on March 24. It passed first reading and was referred to Corn on Agriculture Committee. In the last year, thirty-six bills dealing with the labeling of genetically engineered foods have been introduced in Alaska, California, Connecticut, Hawaii, Illinois, Iowa, Maryland, Massachusetts, Missouri, New Hampshire, New Jersey, New York, North Carolina, Oregon, Rhode Island, Tennessee, Vermont, Washington and West Virginia. The best news to date is that a GMO labeling proposition has made the ballot in California! In November, Californians will have an opportunity to vote (yay democracy!) for the labeling of GMOs. Please tell everyone that you know in the state of California to vote yes to prop 37!!! I want to know what is in our food, don't you? The passing of prop 37 (keep your fingers crossed) will be an incredible breakthrough as it will set the precedent for other states as well as become a prototype for federal regulations in GMO food labeling. Help us to spread the word on GMOs and the importance of GMO labeling! The best way to grow organic non- GMO food is to sow organic non-GMO heirloom seeds! 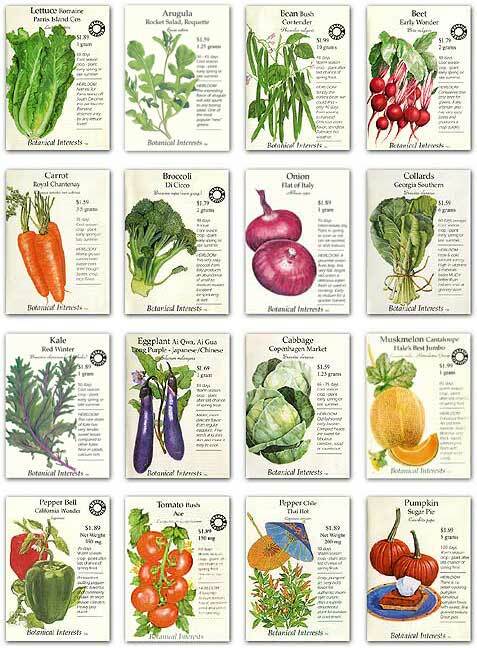 For many years we have carried organic non- GMO heirloom seeds at Healthy Harvest. At Healthy Harvest, we carry only the best!!! I mentioned in September’s newsletter, a local organization, Slow Money (which reminds me of the Slow Food movement) and a meeting that I attended last month at the library. I have been asked by the local Slow Money liaisons if I would send additional information in my next newsletter and of course I said sure! In her last newsletter, Stella mentioned the first Slow Money NC - Transylvania gathering on Aug. 28 which brought together local food producers and local citizens interested in supporting them. Presenters briefed over 30 attendees on the Slow Money movement in North Carolina and Transylvania County. She also invited us to contribute an article to her newsletter, which is distributed to so many of you who are interested in healthy locally produced food. Slow Money is a national network of local groups of people who care about soil fertility and sustainable farming. By staging conversations and facilitating linkages, Slow Money helps connect interested people with local farmers and other food producers in their own communities, building new relationships and new sources of capital for small food enterprises. It is supported by people who believe in eating locally produced food and supporting the hard-working farmers who grow it. in the local food economy. Slow Money NC has been in Transylvania County since April, 2012. Michael and Casey Lance, owners of Calee's Coop's Farm, were the recipients of the first Slow Money NC loan to be made in Transylvania County. The Lances started their farm in 1998 as a hobby. Now they have 500 chickens and 15 hogs, and provide eggs and pork products to the local tailgate market and retail outlets in Transylvania County, including Healthy Harvest. The Lances needed to expand by building an additional coop. A Slow Money loan jump started their expansion and will help them satisfy the growing demand for their eggs. Here in Transylvania County, we want to expand the project by bringing together potential small investors, farmers and food enterprises to talk about how to build stronger relationships and a stronger local food economy. We welcome invitations to speak with interested groups of people. For more information about Slow Money NC, visit www.slowmoneync.org, or contact us: Jeannie Falknor at 828-200-1323 or Mary Scott Christfield at 828-553-6789. We are the Transylvania County liaisons for Slow Money NC. We have officially broken ground on the farm! The beauty of Mountain Rose is that the land has never been used to grow crops, as it was originally a horse farm. That means dense nutrient rich soil but also means a lot of work! In the lower pasture, the designated spot for the organic gardens, we removed six trees (four were dead and two live ones) along with their roots!Jake, Israel and Mario helped with this project and let me tell you, they are experts at what they do! I know some folks saw the trailers down by the road and were wondering what we were doing up here! a tractor to till and to remake the road up to the barn...oh yea and a wood chipper too! Of course I was snapping before and after pictures and taking soil samples from each area. The feel of the soil between my fingers is the most wonderful feeling in the world. ahhh!! After the guys packed up their saws, loaded up the back hoe and everyone left, I went outside with a sprig of white sage and headed up to say a prayer in the spots where the trees once stood. My neighbor walked outside with his adorable doggie and asked, "How's it goin'?" I told him what a great job the guys had done and that I was headed up to the pasture to honor the trees which had given us shade and oxygen. "And now they will be giving you warmth!" the beauty of utilizing all parts of the trees and the cycle of life! I continued on to the pasture and proceeded to thank the trees for their shade, the oxygen they provide and the warmth they provide during the winter months. When I was a kid, my Mom used to tell me to thank the mountains for giving a place to live and when we would walk in the forest to thank the plants for keeping us well. My great grandmother would always tell us grandchildren to practice mindful gratitude and when you feel sad, look to the intrinsic qualities of God within nature and it'll usually bring a smile to your face! we will cut it back and use the cuttings as a green mulch! I have a huge compost pile going now which incorporates organic materials from the wood chips with leaves and veggie scraps. in the spring when we have it all combined with the compost and are ready to plant organic vegetables!!! solutions that do no harm and solutions which are practical. She pulled out her smart phone and showed me an amazing practical sprouter that she had found. Organic foods feed us and make us healthy and keep us healthy with their wonderful intrinsic qualities. Growing food organically doesn't deplete the soil of vital nutrients, rather it maintains the nutrients present in the soil as well as enhances the soil by working with it in an environmentally conscientious manner which also preserves local ecosystems. Those nutrients, that magnesium and iron for example, passes to our bodies when we consume these foods! are definitely graceful solutions too! during cold and flu season! Gaia Herbs produces a most delicious and effective Black Elderberry syrup. Fresh local organic heirloom tomatoes are in!!!!! This year I planted mostly Brandywine and of course, my all time favorite, the delectable Cherokee Purple heirloom tomato. Our cherry tomatoes, or tommy toes as we like to call 'em, have been referred to as mother nature's finest candy! fresh organic herbs including parsley, sweet basil, thai basil, dill and cilantro. As some of you know I have recently purchased a mini farm! I call it a mini farm as it is a modest three acre farm, not 20 or 100 acres or anything like that, but I am the type of person who can make a lot happen with a small amount of space! :) With three acres, I plan to grow an organic garden like never before!! Next year we will have a truly bountiful organic, non-GMO harvest to share with you, the Healthy Harvest community of friends and family. I am thinking of naming the farm Mountain Rose Farm, but I would love to hear other creative ideas for names!! Next time you are in the shop, let me know your idea! I want to thank all the folks who have offered to help on the farm. (Ya know, I'll probably take you up on it!) The farm is a place for us to grow, not only food, but to grow as a community and to have positive experiences within nature; a place where young people can walk barefoot, put their hands in the dirt and eat organic cucumbers and tommy toes straight from the vine, absorbing all the vital nutrients from fresh organic food and the sheer life force that fresh (really fresh) food provides; a place where our elders who may live in town without a place to garden can come and tell us how they see things. Young people are incredible teachers, our elders are great treasures. My family have always been active participants in the organic gardening community. My Mom and Dad were avid fans of reading Mother Earth News for gardening and sustainability tips as well as utilizing the technology of Rudolf Steiner in order to bring our gardens to life in more ways than one. Sometimes as a kid I would walk through the fields and see some of the most elaborate contraptions designed to catch rain water, irrigate the gardens, encourage earth worm proliferation and to keep our compost healthy! Now when I think of those days, I am reminded of the magical interplay of water, sunlight, oxygen, earth, minerals and human effort that made our gardens, not only expressions of artistry and care, but the grounds on which my passion for now owning a health food store, for continuing to grow organic foods and for working as an organic food activist were built. These are some of my greatest memories of childhood. There are new generations of kids and what better for our collective future than to do what we can to connect them to the living Earth through gardening and by having fun and meaningful experiences within nature?! We musn't forget our elders, as this healing is for them too. Our friend and customer Calvin, every year for the past six years, has brought me jalapeno pepper plants. You see, Calvin loves jalapeno peppers. His health isn't what it used to be and he doesn't have a place to garden so he has counted on me to plant the plants and grow the peppers for him to enjoy. For the past few years I have lived in Connestee Falls and leased farm land from the lovely Johnson family. The Johnson family have owned land on East Fork for generations and have been very kind to share their land with me. Now I have found a place of my own with enough land to expand our local organic gardening operation and it has a house to boot! I am looking forward to inviting Calvin over to be a part of the growing process of his jalapenos, have him sit on the porch and tell us stories of his days in the Navy while we shuck our non-GMO heirloom corn and enjoy a glass of lemonade! There is a really great barn on the property, that's where the goats and chickens will live...but that's a story for another day! You know, microcosm, macrocosm, wholistic, however we want to term it, the past few years have been just that...a growing process...not just for pepper plants but for all of us. It is pretty cool to take a moment and reflect on the evolution of ourselves as beings, as individuals, as a group, as a community and as a species. When it seems that the television and the news programs only have horror to report, when we take a moment and go outside, whether it is to sit by a mountain stream or just take a look around our own backyards and gardens, all that weight of what is wrong with the world suddenly lifts from our shoulders and we can take a deep breath and know that somehow, everything is going to be alright. From that place of peace we can do whatever it is we want to do. We can look at our neighbor with love. We can be active in fulfilling our dreams and also in changing the world. be pH balanced, exercise, take our supplements, work, live, laugh, love and continue making our dreams come true! Celebrate Earth Day at Healthy Harvest! information on green living and live music! Healthy Harvest is a proud sponsor of this healthy and fun event! We'll be there with a fun and informative information booth! Healthy Harvest is a participant in this wonderful event honoring women in business in Transylvania County. supported over 1,200 riders with all proceeds benefiting local charities! community seminar titled, "The Benefits of Adrenal Health,"
with Brian Hampton of Gaia Herbs, Thursday, June 23, at 12:00 p.m.
maintaining a healthy response to stress. often times debilitating effects such as Adrenal Fatigue. Many people wish to have "the energy they once had,"
and look for quick results in "something to give them energy." Quick fixes such as caffeine are often times unsustainable. organically on their farm in Brevard, NC. please call Healthy Harvest Natural Foods at 828-885-2599. See ya at the Farmer's Market! Rotary Club of Pisgah Forest. Healthy Harvest Natural Foods is a proud sponsor. way of saying "thank you" for your support. Here's to love and well-being in the world, from our little slice of heaven, here in Brevard, NC! Save 25% through Nov. 30! Time to get in our fall gardens! Great to see y'all today at the Farmer's Market! at Healthy Harvest, Friday, May 22. Organic and Local Gardening Seeds, Herbs and Veggie Plants! eta: Gaia Farm tour is available to symposium attendees only, please check the link above for details. Want to Generate Lost Collagen? Find out why eating collagen or taking collagen pills derived from animal ingredients may not be as effective as stimulating the body’s own fibroblasts, responsible for generating collagen in human skin; and the body’s own osteoblasts, responsible for generating collagen in human bone. and introduces us to Biosil. Biosil, a dietary supplement, contains ch-OSA. To learn more, attend this free educational seminar at Healthy Harvest. Reserve your seat today! Welcome, wonderful women! What a joy it is to be coming together again to celebrate our strength, beauty, and diversity and connect with the Earth in such a meaningful way. This year, as always, we are honoring women of all ages and stages, but we’re particularly turning our grateful gaze to our elders—to the grandmothers—and to the traditions and insights they bring to us. The 2015 classes include themes honoring the traditional earth-based and herbal wisdom of women from Latin America and Africa, to the Appalachians; from the slavery era to the women’s movements. of the World Trust Organization. Come, join us for an exciting and inspiring weekend, filled with many opportunities to learn, grow and explore with our extraordinary faculty and with each other. Transylvania Choral Society (TCS) is hosting an Earth Day Expo at the Brevard College Porter Center from 2-4 p.m. Sunday, April 19, in keeping with the focus of their “Earth Song” spring concert. Individuals, organizations, and businesses that are active in environmental conservation and healthy living practices will have displays in the lobby and will provide information about their earth-friendly activities. TCS invites the community to come and see how to get involved. The expo is free and open to the public. Doors to the concert hall will open at 2:30 for seating for the 3 p.m. concert. Tickets for the concert will be available at the door. The 45th anniversary of Earth Day is Wednesday, April 22. This celebration of environmental conservation has grown to be an international movement supporting the reduction of pollution, environmentally conscious living practices, and stewardship of our planet. This program has pieces about the earth, world, mountain, pasture and garden and all things in nature. The Brevard College Chamber Singers, 2015 Scholarship Recipient, joins the choral group and the Earth Day Expo explores our environmental experiences. Healthy Harvest is a proud Premier Sponsor of the Transylvania Farmer's Market! it makes carrying your groceries so much easier! will be provided during Mr. Hampton's presentation! Healthy Harvest Natural Foods to Present Free Seminar- "A Compass for Aging Wisely"
Is “elderhood” a golden age of leisure and freedom or is it just a series of trials and tribulations; or maybe it is some of both? Healthy Harvest Natural Foods is presenting a seminar led by Susan Petersen (76) and her husband Tom Mahan (85) who are advocates of the last third of life as the time for blossoming and savoring life. They, like most who are recipients of Social Security and Medicare, have known major stressors which health professionals list as high risk to our health: death of loved ones, divorce, serious physical disease or disability, moving, financial crises and the like. 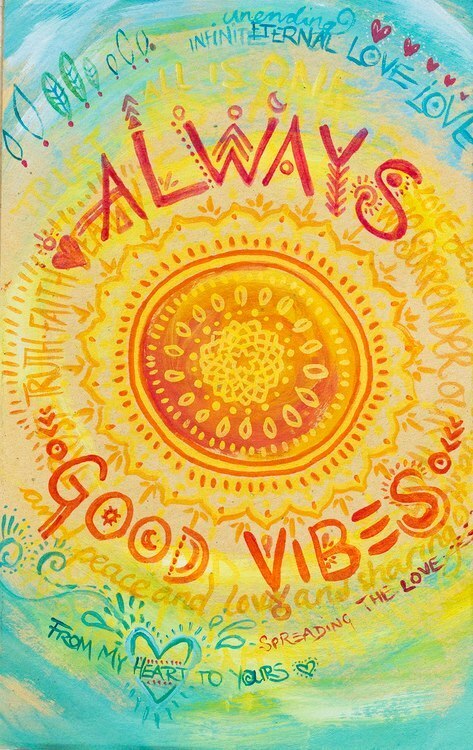 Nonetheless, Tom and Susan propose that there are effective ways to navigate through the rapids and rocks of life with an attitude that proclaims the preciousness of each day. Susan Petersen, a retired licensed massage therapist with a background in nutrition and Tom Mahan, a retired licensed clinical psychologist and university dean/professor, have put together a program, A Compass for Aging Wisely, with four basic “points” that will provide direction toward satisfying and productive years in what some refer to as the twilight time of life. Based upon their own life and professional experiences along with reading and thought, Petersen and Mahan describe those four basic points as: Taking Control, Letting Go, Building/Re-building Social Bridges, and Befriending Death. The seminar will be held at Healthy Harvest Natural Foods, Friday, November 14 at 12:00 noon. This event is free to the community and open to all interested. For more information and to reserve your seat, call Healthy Harvest at 828-885-2599. A beautiful Healthy Harvest gift basket will be one of many items included in the silent auction! See ya there! This year is the 10 year anniversary of this amazing tradition. "Optimizing Your Essential Fatty Acids," with Dr. Herb Joiner-Bey, Friday, September 26 at 4:00 PM. and the very popular, coconut oil. brain function and the body's response to inflammation. Dr. Herb Joiner-Bey is a naturopathic physician who serves as a medical science consultant and has conducted countless seminars and presentations for health professionals and the public across the United States, Canada and the United Kingdom. Dr. Joiner-Bey received his Bachelor of Arts degree in Physics from John Hopkins University and his N.D. degree (Doctor of Naturopathic Medicine) from Bastyr University in Seattle. He is also a graduate of the Professional Course in Classical Homeopathy at the International Foundation for Homeopathy. Join us for this exciting and educational event! Samples of EFA oils will be provided for tasting! We look forward to Mountain Song all year! See ya there!! Healthy Foods & Planet Earth! "Why Love Native Plants in Our Transylvania"
"What You Should Know About GMOs,"
sponsored by Healthy Harvest at Haen Gallery in Brevard. We set up 180 chairs, luckily brought 20 extra chairs just in case. By 6:45 we brought in the extra chairs as the 180 were already filled! Many were willing to stand or find a spot in the floor to listen. Jeffrey M. Smith, our guest speaker, was AMAZING as he shared with us his wisdom on the health and environmental impact of GMOs. Mr. Smith has collected data from scientists, doctors, nutritionists and farmers, compiled the data and presented it to millions, including the 220 of us! Here's to sustainable organic agriculture!! It's not just about GMO food. or even have biomass to burn. Receiving emails rather than faxes. We ask if you would like a credit card receipt rather than just printing one. like for us to recycle it. We ask if you would like a bag rather than automatically giving you one. sometimes a bag just isn't necessary. Many of the companies that we choose to support use 100% post consumer recycled materials in shipping and printing as well as compostable packaging. to partially fuel their facilities. Country Life takes non-petroleum based supplements to a whole other level! We ask that you bring back your egg cartons so that they may be reused by our local egg provider, Calees Coops. but there is more we can do! Introducing the Healthy Harvest Clean Bag Initiative! We first proposed this initiative on Earth Day 2013. It was glorious and we began to think, wouldn't it be great if we saw this many reusable bags everyday?! and save $.10 on your purchases! but also save $.10 on your purchase! Bring your own reusable bulk foods bags and save $.5 on your purchases! Because source reduction actually prevents the generation of waste in the first place, it comes before other management options that deal with trash after it is already generated. After source reduction, recycling and composting are the preferred waste management options because they reduce the amount of waste going to landfills and conserve resources. Zero waste programs are taking hold around the world, helping communities reuse, recycle, compost or avoid nearly all materials that otherwise go into landfills. Here's how you can go zero waste at home! Admit it — you take out the trash and try not to look at how much garbage you create in your house. and start seeing opportunities to be part of the solution. “Each American creates about a ton of garbage every year, and about 90 percent of that is reusable, recyclable or compostable,” says Eric Lombardi, executive director at EcoCycle, a nonprofit zero-waste service in Boulder, Colo.
“We have a system that takes a valuable resource from nature, uses it once and then destroys it. Zero waste advocates aim to put the world on that path by promoting reuse, recycling, composting or rethinking of most materials that otherwise go into landfills. America is recycling about 30 percent of its waste — but countries including Germany, Canada, Holland, Japan, the Philippines, Norway and New Zealand have successfully implemented comprehensive zero waste policies that eliminate 80 percent or more of all landfill waste. U.S. cities including San Francisco, Seattle, and Boulder, Colo., have adopted zero waste programs. experts we talked to say there’s a lot you can do right now to get closer to zero waste! Even the most efficient recycling process uses energy and resources that can often be avoided. says Robin Burton, EcoCycle’s zero waste program administrator. Use reusable water bottles made from materials like stainless steel vs. buying disposable plastic-bottled water. Use a refillable coffee mug vs. paper cups. Keep a clean reusable container in your car so it’s easy to grab for carrying leftovers when you eat out. Keep reusable shopping bags or old paper or plastic ones in your car or bag so they’re convenient when you shop. Buy in bulk and avoid single-serving packages. Avoid processed and frozen foods whenever you can; their packaging creates excessive and hard-to recycle waste. Look for ways to reuse containers. Large plastic tubs make great storage containers for toys or crafting supplies. Use rechargeable batteries. You'll save $200 a year by using them instead of disposables in just one CD player used two hours a day, reports Earth 911. Grow some organic vegetables at home to reduce your usage of produce packaging. “Precycle” by choosing products and packaging made with recycled content. If you don’t like how a company is packaging their product, tell them — and opt for an eco-friendlier alternative. Sell, exchange or give away your unwanted items. Have a garage sale, ask friends and neighbors, or take advantage of an online reusable-items exchange program such as FreeCycle. While reducing and reusing should come first, recycling is still important — and it’s worth the effort. Recycling uses 40 to 95 percent less energy than manufacturing with raw materials, according to The National Recycling Coalition. And EcoCycle reports that recycling creates 10 to 25 jobs for every one job in landfilling. more than the emissions from a commercial flight from New York to Los Angeles. Earth 911 offers a national directory of companies that accept hard-to-recycle items such as cell phones, computers and packing materials. They’ll also help you find a curbside service if your neighborhood doesn’t have a regular pickup service. 2. Start composting at home. Excellent site for composting at home! Soil conditioner. With compost, you are creating rich humus for lawn and garden. This adds nutrients to your plants and helps retain moisture in the soil. Recycles kitchen and yard waste. Composting can divert as much as 30% of household waste away from the garbage can. Reduces landfill waste. Most landfills in North America are quickly filling up; many have already closed down. One-third of landfill waste is made up of compostable materials. 3. Ask for zero waste programs in your community and at work. If you can’t find zero waste or composting pickup services in your area, write to the office that oversees waste management in your community (usually the city council or county supervisor’s office). If your office is recycling only paper, talk to your office manager about recycling glass and plastic bottles, aluminum, and steel, which can be collected. Then encourage your company to ask waste haulers and city officials for commercial collection of additional recyclables, as well as compost. How we can reduce landfill waste locally!!! 1. It dilates the arteries that supply the heart muscle itself with blood, oxygen, and fuel, providing a better supply of these essential nutrients. This results, with continued use, in a stronger, more efficient heart beat. 2. It acts as a powerful free-radical scavenger, protecting the heart against the harmful effects of lessened oxygen--a common result of vascular disease, such as atherosclerosis. 3. It can help steady the heartbeat, if it is irregular, and does not lead to dependence. 4. It has mild sedative activity, which may be useful where mild heart disease is combined with nervousness, hypochondria, etc., in which case it can be combined with lavender or lemon balm. In this modern age with its times of stress and anxiety, it is reassuring that nature has provided such a gentle yet effective cardiovascular protector as hawthorn. The arteries are major blood vessels that the heart uses to pump blood from the heart to the rest of the body. Over time, arterial walls can become congested with a fatty substance known as plaque. When this happens to a severe point, the arteries may begin to harden and the blood flow can become compromised and ultimately result in a heart attack. Mainstream medicine's approach for treating plaque is to use drugs or surgery. However, there are natural ways to prevent and remove plaque. you can do this by getting 30 to 60 minutes of exercise on most days of the week. eaten in very small portions. Foods that are nutrient dense, high in fiber, low in sodium and low in saturated fat help avoid and reduce arterial plaque. Fiber helps block the intestinal absorption of cholesterol. It also makes you feel full longer which can result in less overall calorie consumption. Some examples of fiber-rich foods include organic (non-GMO) whole grains, organic fruits and vegetables. Omega-3 fatty acids are essential fats that the body cannot make on its own. They can be found in supplements and also in foods like cold water fish, walnuts, flax seeds and healthy oils such as olive oil. Fish oil supplements can lower blood pressure and reduce arterial plaque and they also lower triglycerides. Niacin raises HDL, which is known as "good cholesterol". HDL cholesterol removes bad LDL cholesterol and arterial plaque. According to the FDA, "Niacin is the best agent known to raise blood levels of HDL, which helps remove cholesterol deposits from the artery walls." Vitamin C is crucial in repair and healing of the endothelial layer of cells inside of coronary and carotid arteries. When this layer is not maintained properly by the body, it can become the site for lesions that begin the process of atherosclerosis. Coenzyme Q10 strengthens arteries and veins and cleans out accumulated plaque. Digestive enzymes help break down the food our body does not digest. When taken on an empty stomach, they enter the bloodstream intact. As they circulate, they remove toxins and break down the fats responsible for plaque formation. Digestive enzymes in supplements and raw foods help prevent heart disease. without harming living tissue. Serrapeptase is used to dissolve non-living tissues to include: scar tissue, fibrosis, blood clots, cysts and arterial plaque. Some herbal remedies can also help fight plaque by improving circulation, reducing blood clots, lowering cholesterol and reducing stress. The herb hawthorn helps remove plaque blockages by widening blood vessels. Horsetail is rich in silica and can aid removal of plaque by strengthening artery walls. ashwagandha, ginger, garlic and guggul. Pics of some our most beloved immune enhancing herbs! Broo shampoos and conditioners are locally made using craft beer. Yes beer. We do not sell beer, as I would feel strange selling you liver cleansing books and kidney support herbs and beer BUT shampoo made from beer seemed like a good idea! It makes sense...have you ever heard that beer was good for your hair? Kind of how people say that mayonnaise is good for the hair, I have heard that beer makes a great hair rinse, so when I learned of a locally made shampoo which incorporated the concept of a beer rinse, I had to try it...and it is awesome! and even chapped lips. It is 100% organic and has really nice packaging. Gallo Lea is a small independent local company which is producing organic pizza kits! Thank you so much for the pizza kits, and I have wonderful news ... not that you'll be surprised ... they're WONDERFUL. I was truly shocked at how easy they both were. I made a whole wheat and a gluten free for my parents, and I made them try each and give me their reviews. They really liked both pizzas, but they liked the gluten free the best. I think that speaks so well of your product. A delicious gluten-free pizza?! See, the world is changing for the better! Gluten-Free foods really have come a long way. I enjoy gluten free food daily and I have no gluten sensitivity, I just like the way it tastes! Sami's gluten free cookies are incredible as well as Sami's breads and brownies. The Sami's gluten free cookies that we carry also happen to be vegan! Speaking of vegan, we have tons of vegan foods at Healthy Harvest Natural Foods. A simple definition of a vegan food is a food that contains no meat or animal products. Examples of animal products are eggs and dairy (milk, butter, cheese, yogurt, whey, casein). If it came from an animal in any way, it is not vegan. This includes fowl (chicken & turkey) and fish. If it had eyes and a mother, if it hatched from an egg, it is not vegan. If it is made from milk, it is not vegan. If it is a liquid, egg, or any substance that came from an animal, fish or bird it is not vegan. Therefore, technically, fish oils are not vegan. Gelatin is not vegan. Gelatin is a translucent, flavorless solid substance derived mainly inside pig skin and cattle bones. And just to be thorough (although this is applicable to only the strictest vegan) but some folks consider honey and beeswax to be animal products and will not use either. This is mainly for ethical reasons as my friend Guinevere explained to me. Some bee keepers, not our local bee keepers and honey producers, but large honey farms...yes there are honey factory farms...but those types of factory farms mistreat their bees as some large factory farms mistreat their cattle, hogs and chickens. Most vegans that I know will use honey and bee products as they buy locally, and the reason they are vegan is for health reasons. For example, dairy (milk) products are known to cause mucous buildup in the body and exacerbate sinus issues. Dairy and meat are both acidic to the body and can throw the body's internal pH into imbalance. Meats have been known to cause a plethora of issues including cardiovascular issues. For further education, please read The China Study. The China Study is a 2004 book by T. Colin Campbell, Jacob Gould Schurman Professor Emeritus of Nutritional Biochemistry at Cornell University, and his son, Thomas M. Campbell II, a physician. Basically, a vegan is someone who enjoys a plant based diet. Grains and beans are vegan, nuts are vegan, vegetables are vegan, vegetable oils are vegan, seeds and seed oils are vegan (such as flax), dark chocolate (also known as cacao) is vegan, berries (such as goji berries) are vegan, fruits are vegan, stevia, molasses and xylitol are vegan, Earth Balance spread (a butter substitute made from non-hydrogenated vegetable oils) is vegan as well as tofu and tempeh. Vegan cheeses are also available as they are made from seed, nut, grain and legume "milk". Soy milk, rice milk, almond milk, flax milk, hemp milk and oat milk are vegan as these liquids are not really milk, they are made from boiling seeds, nuts, grains and/or legumes and collecting the juices. The difference between a vegan and a vegetarian is that a vegan eats no meat or animal products, a vegetarian simply eats no meat, including fish and chicken. A person eats that eats no other meats, only fish is called a pescotarian. If you have any questions on vegan or vegetarian foods, please feel free to ask! We are happy to show you our animal-free products. We have tons of recipe books too!! We also carry organic turkey, bacon, sausage and grass-fed ground beef and hotdogs as well as local free range eggs from Calee's Coops and local honey from Busy Bee Farm, Cornercopia Farm and our house honey which is gathered near Max Patch, NC. I will be doing a special orders for Vitamixes and dehydrators. If anyone is interested in getting a Vitamix or dehydrator, please let me know. We presently have a selection of juicers, wheatgrass juicers, yogurt makers and nut/seed/grain/legume "milk" makers in stock!